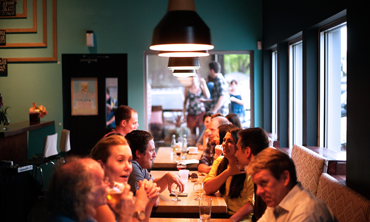 Half of your Sales Team doesn’t have the time to attend meetings. The ones who are present are forming mini groups and discussing their own issues. Sounds familiar? 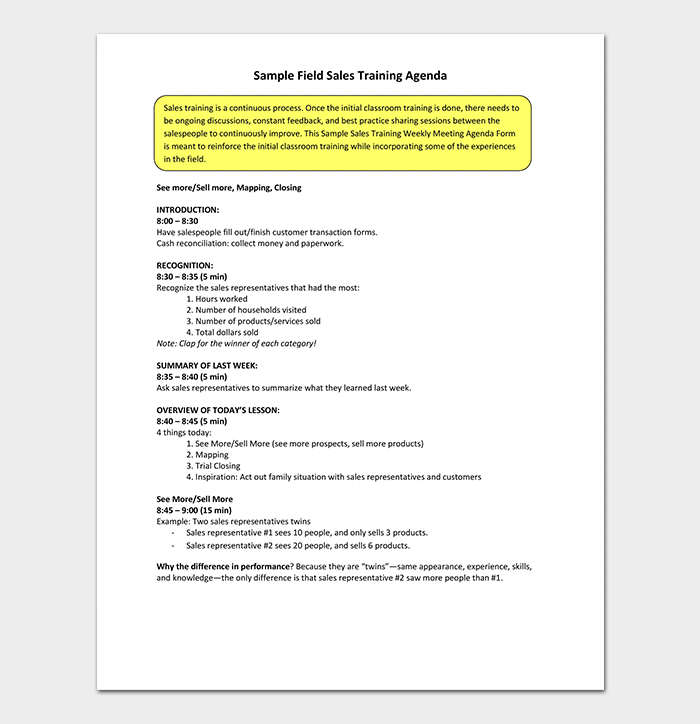 Lack of preparation and agenda are the perfect ingredients for another failed Sales meeting! What if there’s a simple, clear and easy way to avoid this? 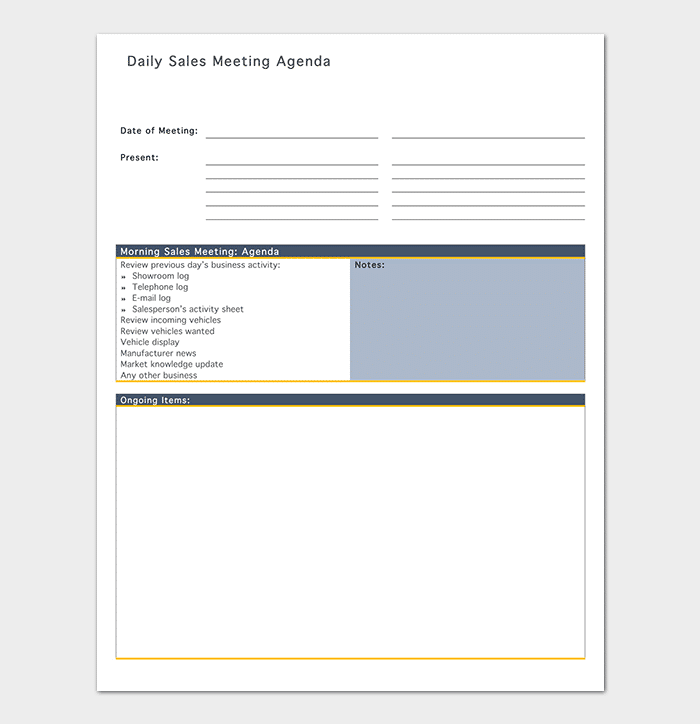 Using a sales meeting agenda template simplifies this process and ensures a successful sales meeting. 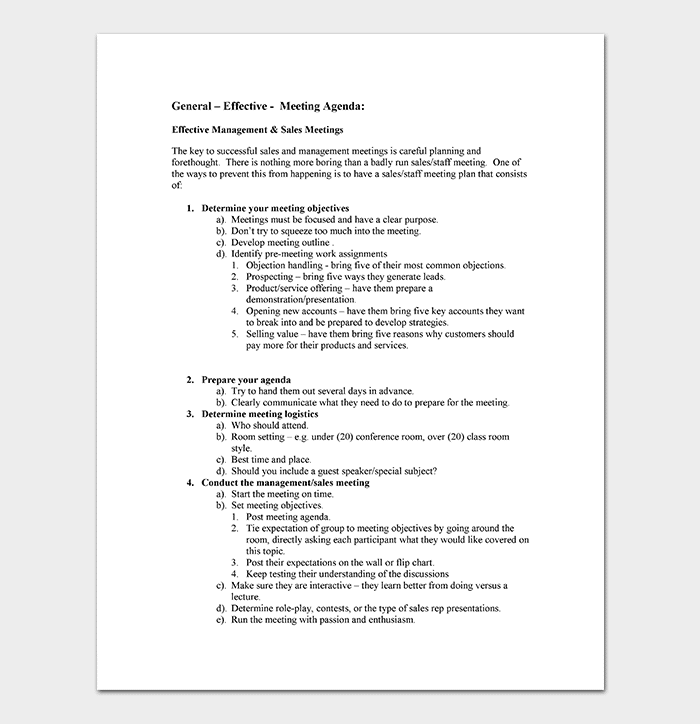 Here are some agenda templates to organize your meetings. 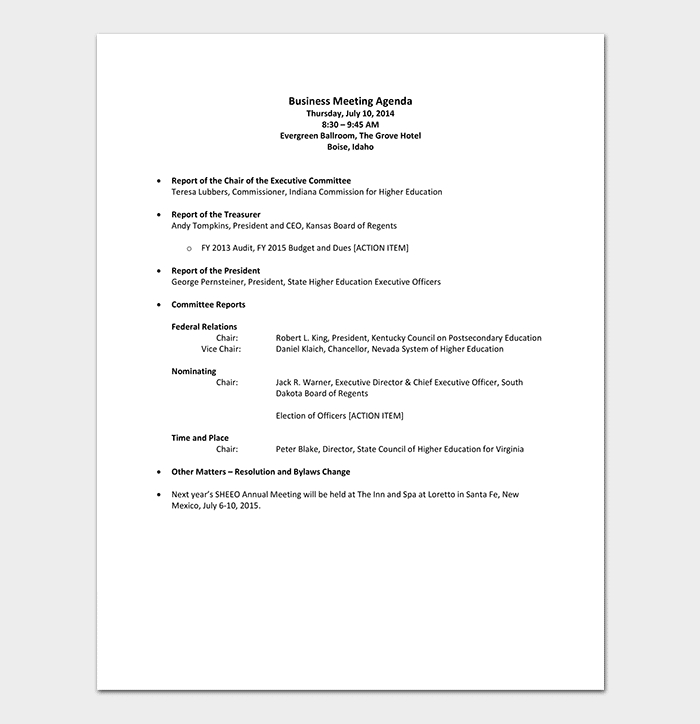 Sales and marketing meeting agenda: it states the activities to be considered during the meeting and its duration. 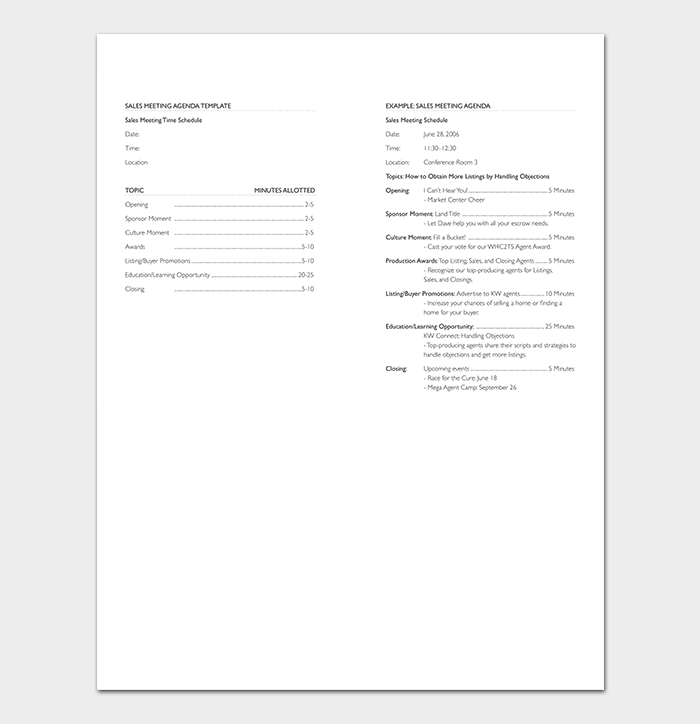 Sharing it in advance helps both teams to know what to expect and to prepare for it, resulting in a more targeted approach with higher attendance. 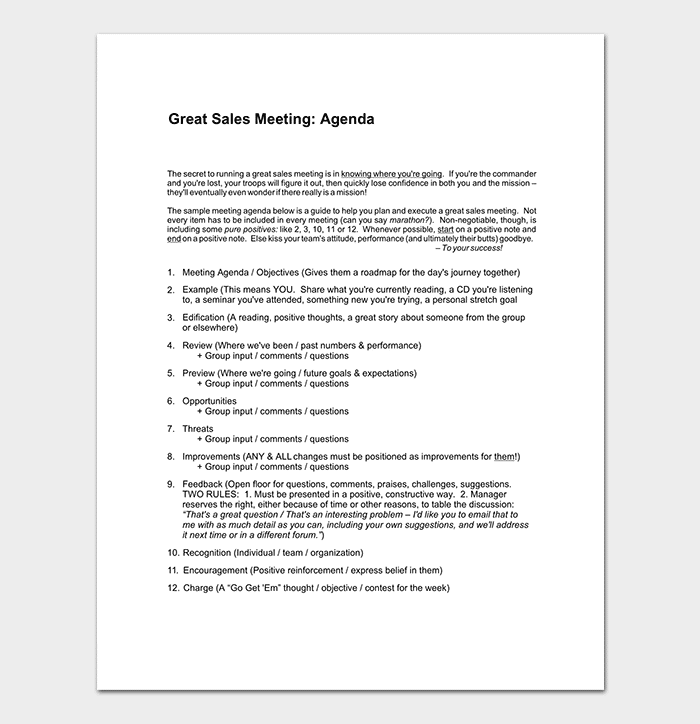 Sales strategy meeting agenda: this mechanism forces focus onto and better identifies successful as well as failed strategies by restricting the scope of discussion. 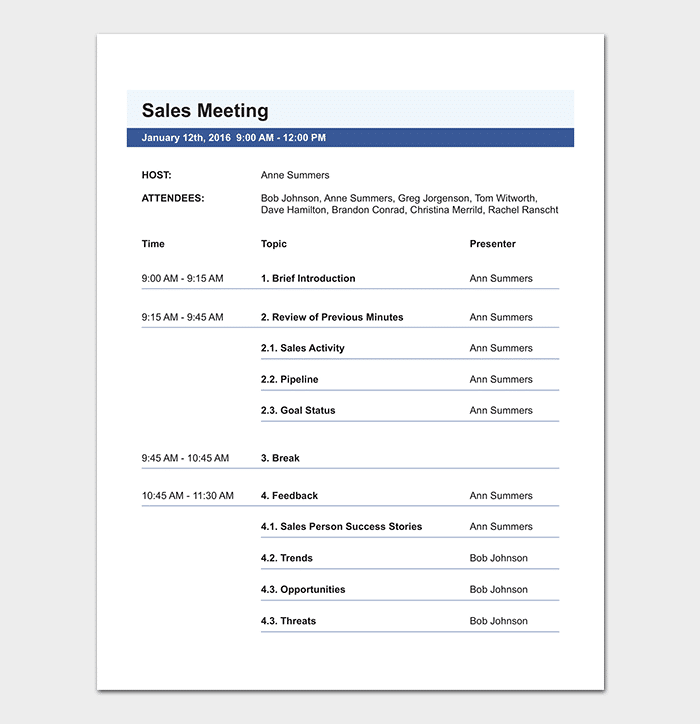 Weekly sales meeting agenda template: it helps in enumerating and including all crucial items that should a part of this meeting. It gives you a framework to build your agenda on and customize it according to your team size, issues to be taken up and meeting duration. 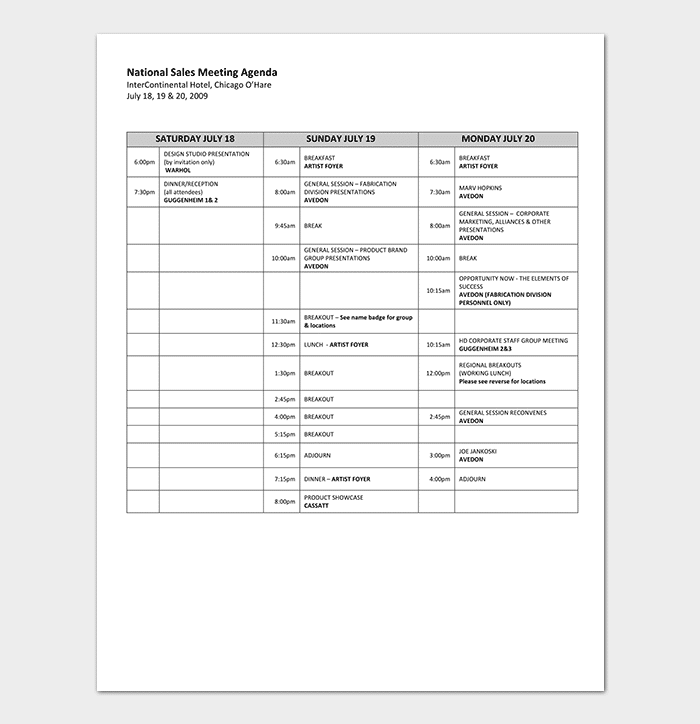 Annual Sales Meeting Agenda: It outlines objectives of the meeting, expectations from participants, upcoming opportunities, strategies to achieve targets and areas of skills/training needed. 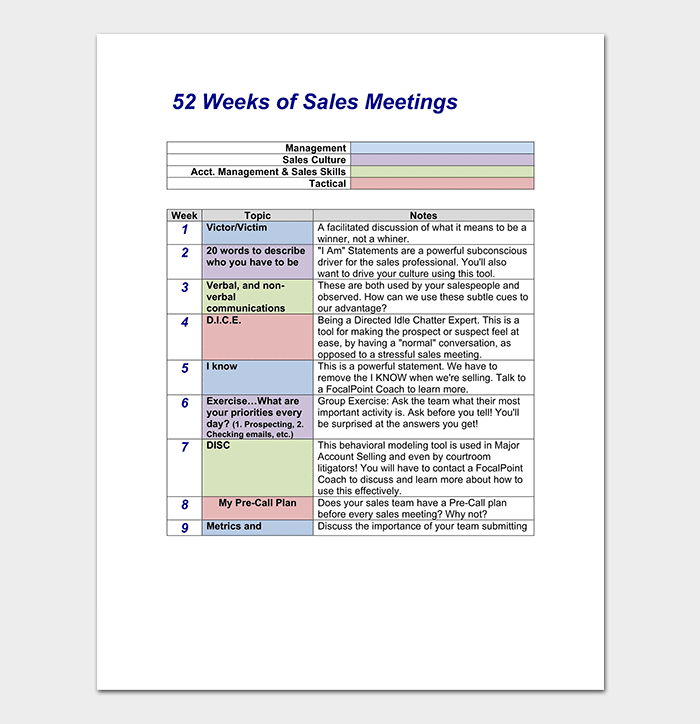 Sales meetings should be a platform to voice concerns, solve issues and celebrate achievements. They should motivate and engage your sales team to perform better. Quickly recapture the events gone by. Talk about what was tough and what was good in the tasks that each of you handled. This is valuable not just in terms of knowledge sharing but also increases engagement through shared experiences. Look at all the significant opportunities in the pipeline. Who and how are they handling it? Discuss. Brainstorm. Ask what kind of support can be provided to move these forwards. Focus only on the largest opportunities. Identify what factors influence how you reach your target numbers every month and quarter. What skills do the team need training on? 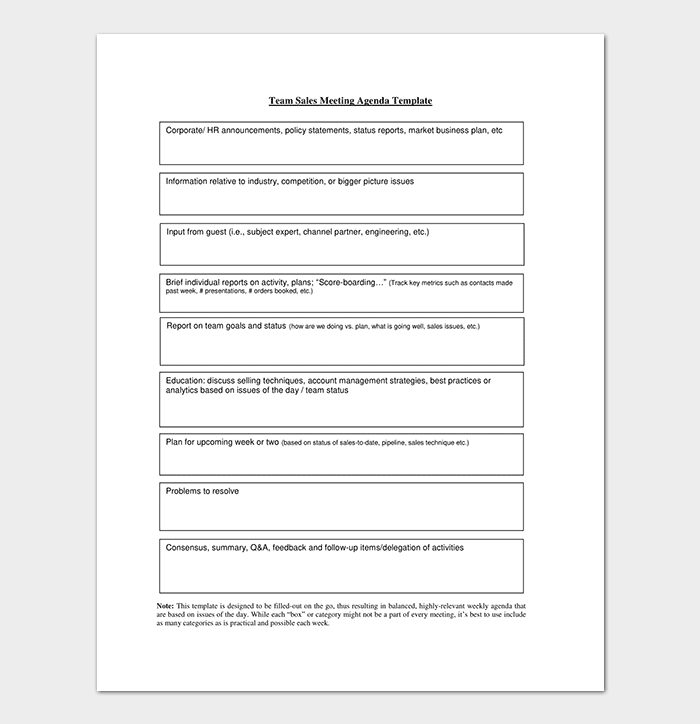 Share learning resources with each other. Training should be an ongoing effort and must not seem laborious! These were not on the agenda but they’re important. Be flexible. Allow the team to raise the concerns affecting their performance or proving too challenging for them. 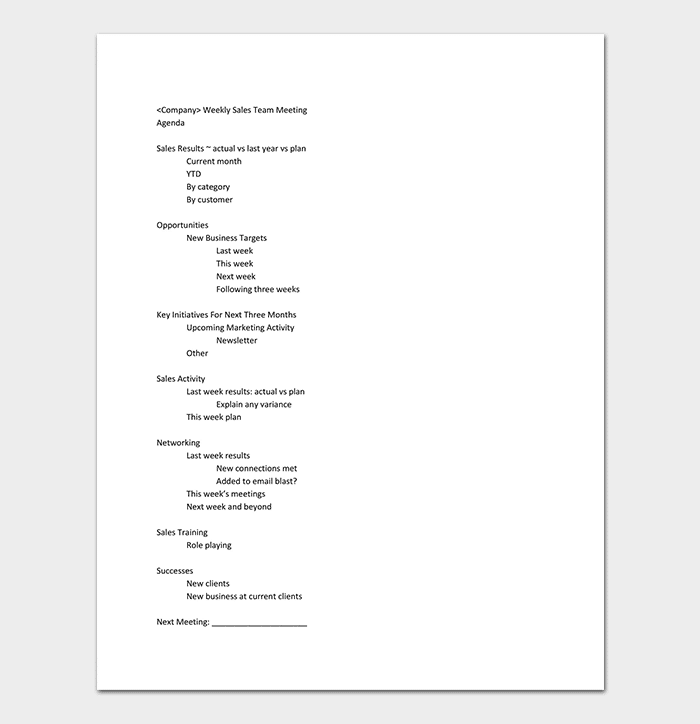 If you feel the need for more discussion, schedule it separately. End the meeting on a happy note, and leave feeling energized and motivated to accomplish the impending targets!